Project Management software should help get the project done. Does yours? 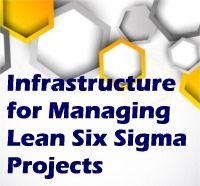 This webcast discussed current trends in project management software solutions and highlighted questions to ask when evaluating project management software for your Lean Six Sigma deployment. A list of general project management features was appended to include considerations unique to Lean Six Sigma projects. Brian McDaniel currently leads the development team for MoreSteam's project management software, TRACtion. He joined the MoreSteam team in 2011 as a developer. Brian's previous work experience includes performing statistical studies and analysis for the City of Columbus (OH), working on international supply chain projects as an operations engineer for General Electric Healthcare, and contributing to Lean Six Sigma improvement efforts for Smith's Medical. Brian is a Lean Six Sigma Black Belt and holds a degree in Industrial and Systems Engineering from The Ohio State University.